Silo tanks productions continue. 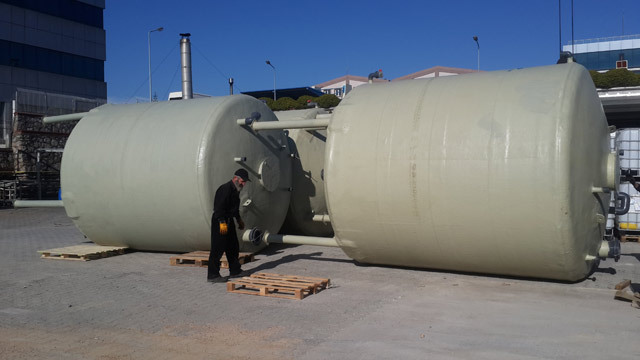 You can see all details about 24m3 silo tanks that are produced for APS Ambalaj production facilities. 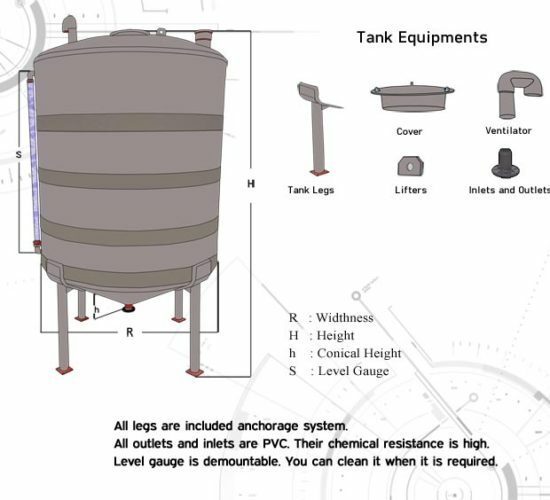 Tanks are produced for stocking of hypochloride acid. Production is made from vinylester resin and fiberglass. Chemical resistance is high for tanks. Tanks’ all technical details are decided by APS Ambalaj authors. With these products, there are 12 pcs. 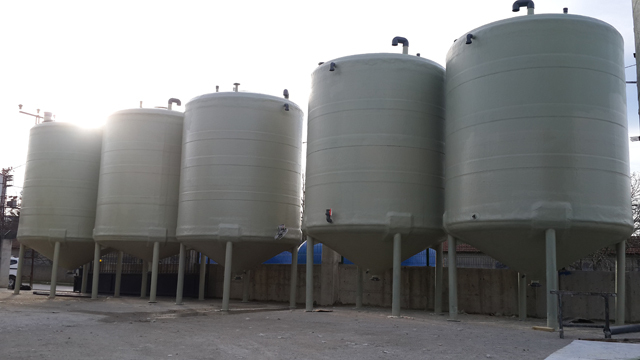 silo tanks and 1 pcs. 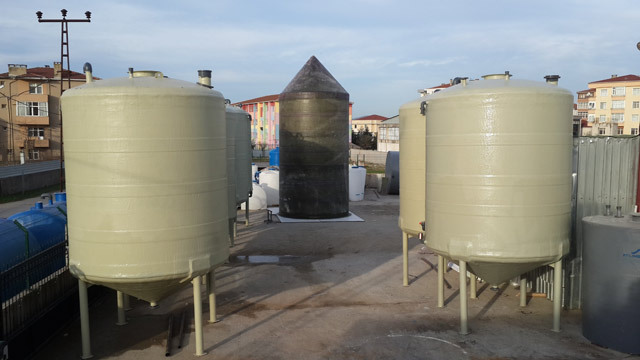 13m3 mixer tank at facilities. 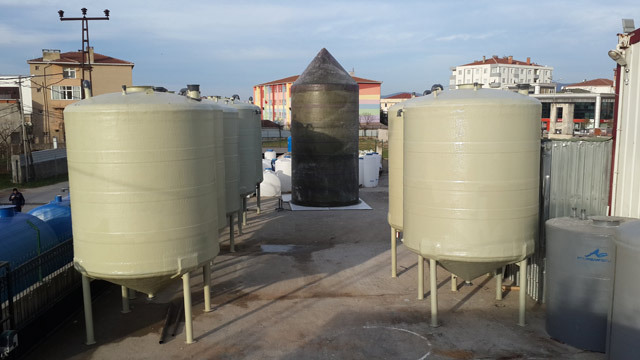 Tanks are produced for stocking of hypochloride acid. All dimensions, outlets and inlets locations on tank are designed by APS Ambalaj Co.
All outlet and inlet dimensions, their locations on tank are clarified by APS Ambalaj. All equipments are suitable for chemical. All dimensions can be changed according to project. 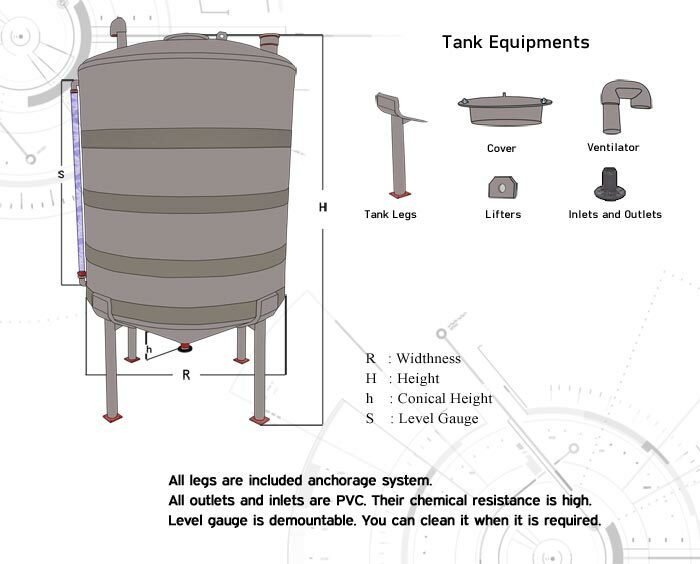 Silo tanks provide %100 product flow. It has high chemical resistance. You can use it for all chemicals in specific concretation rates. Fiberglass tanks don’t react with your chemical. Conical height and leg height can be changed according to your project. Inlet and outlets dimensions or locations can be changed. 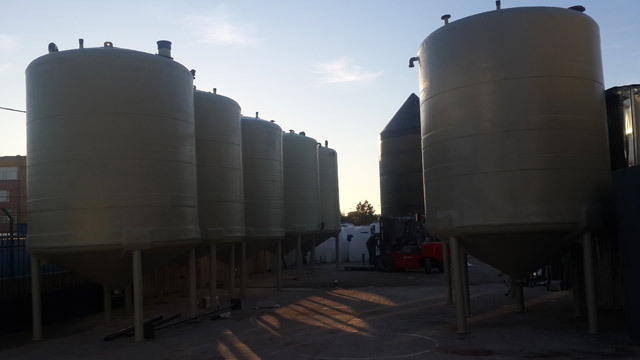 Fiberglass tanks are uncorrosioned and stainless. We can produce all tanks with different dimensions. 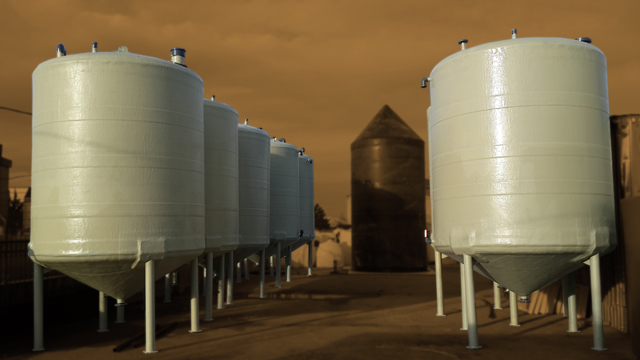 Fiberglass silo tanks are less costly comparison with other tank types. You can fix your tank to ground with the help of anchorage system. Even if many years later, tanks can be repaired in all conditions. 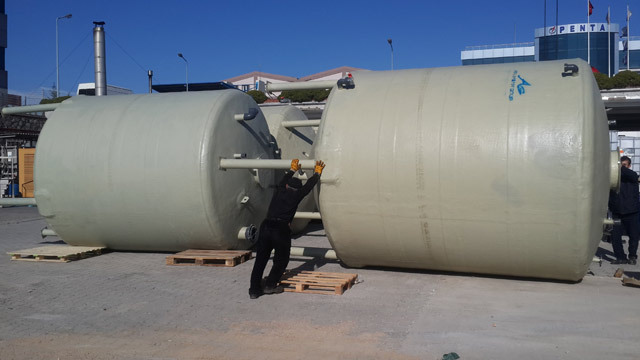 Silo tanks can be produced in all volumes.